ISPRS has more than hundred years of distinguished history, and despite the continuously changing environment, mainly due to the rapid technological developments of the past two decades, the Society is relevant and strong. Obviously, there are many aspects of why ISPRS is successful and prospering. However, one key element is clearly that ISPRS did recognize early on that the future of the Society greatly depends on attracting young people to the geospatial science and engineering profession. It was during the 20th ISPRS Congress held in Istanbul Turkey in 2004 that the ISPRS Student Consortium (SC) was formed. 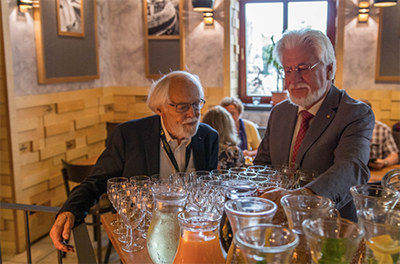 This was a historic moment, as for the first time, students and young professionals all over the world, interested in photogrammetry, remote sensing and geospatial information sciences, could directly connect and be officially represented in the ISPRS organization. The ISPRS SC works under Technical Commission V (formerly TC VI), and primarily collaborates with Working Group V/5. The beginning of the ISPRS SC followed the usual pattern of lots of excitement mixed with real challenges. Yet the determination of the members as well as support from ISPRS leadership helped the ISPRS SC define its objectives, prepare implementation plans, and create the operational environment quickly in the early years. Since 2007, the ISPRS SC Newsletter has been published quarterly, and is very popular as a platform to keep up with developments, hear about new opportunities, and read about the experiences of other professionals in the geospatial discipline. From early on, the ISPRS SC has become an active contributor to the major ISPRS events, including organizing special sessions and dedicated gatherings for students and young professionals. The most successful initiative of the ISPRS SC is probably the introduction of the ISPRS SC Summer School program. Clearly, this event became very popular quickly, as it provides a formal and comfortable environment for young people to learn from experts and network with peers. The duration is typically 3-5 days, which is sufficient to acquire a better understanding of a specific geospatial field and gain in-depth practical information of specific areas. The first ISPRS SC Summer Schools were organized in Europe; Istanbul in 2005 and Ljubljana, Slovenia in 2007, but soon it extended to other regions. A major milestone was reached in 2013, when, for the first time, the Summer School was organized on the African continent, Addis Ababa, Ethiopia. Recently, most of the Summer Schools have been organized in Asia, as this region shows the strongest developments in general, and, consequently, the student body is large and interest is strong. In addition, these events are greatly supported by the Asian Association on Remote Sensing (AARS) by continuously providing venue and logistics at their annual ACRS. With the growing interest in Summer Schools, the initial model of one event per year has been changed to multiple events, providing a better geographic distribution to help students attend worldwide. In addition, the cost is kept at a minimum, which allows more students to participate. What is in the pipeline for ISPRS Student Consortium? The new ISPRS SC website, sc.isprs.org/, has just gone online, and the plan is to further improve the media presence of ISPRS SC community, as this is the de facto communication platform of the current generation. The Newsletter is in the process of being repackaged in this term. Due to changes in structure and organization practice, the Bylaws are updated; the draft is currently under review by Technical Commission V. Finally, the expanding ISPRS SC Summer School program necessitates the development of a standardized application process, which is also in the works. I wish the ISPRS Student Consortium, under the current leadership of Sheryl Rose Reyes, continued success and growth for the coming years. 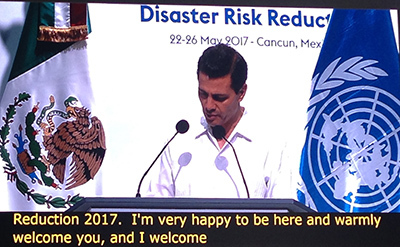 It is quite remarkable how much progress has been achieved by ISPRS SC recently, and this makes the entire ISPRS community optimistic, not only for the Society’s future, but for the next generation entering the profession, as well as leadership positions at national societies and ISPRS. Danang Budi Susetyo, Indonesia; Fredrick Onyango, Kenya; Guoming Guo, China; Luka Jurjević, Croatia, Abdul Rahaman S, India; Sara Mirzaee, Iran; and Dong Lin, and Marc Rußwurm, from Germany. It is my pleasure to inform you of two great achievements within ISPRS publications. 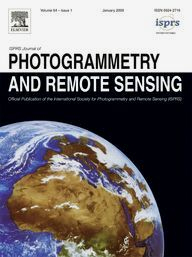 The huge efforts of the ISPRS Editors-in-Chief, the associate editors, many reviewers, and the authors of papers published in the ISPRS Journal of Photogrammetry and Remote Sensing were so successful that the journal has now reached an Impact Factor of 6.387, jumping from 4.18 last year, and is now no. 1 among Remote Sensing journals. On behalf of Council, please let me to express my thanks to all who have helped achieve this excellent result. The Journal has reached an outstanding position among remote sensing journals. I would also like to thank the Editor-in-Chief, associate editors, reviewers and authors of the ISPRS Journal of Geo-Information. The Impact Factor of the Journal has doubled, now reaching 1.502 (2016). ISPRS is proud to announce that after a lengthy application process the ISPRS Annals of the Photogrammetry, Remote Sensing and Spatial Information Sciences has been accepted for inclusion into SCOPUS. That means the Annals are now available for an even larger audience for search and linkage to the SCOPUS library. Also, The International Archives of the Photogrammetry, Remote Sensing and Spatial Information Sciences are now included in the online version of E/I, the Compendex. The Compendex, (https://www.elsevier.com/solutions/engineering-village/content/compendex), is an index which is particularly important for the Asian Scientific community. The Archives are thus listed in the ISI Conference Proceedings Citation Index (CPCI) of the Web of Science, SCOPUS, the E/I Compendex (still pending for the Annals) and the Directory of Open Access Journals (DOAJ). 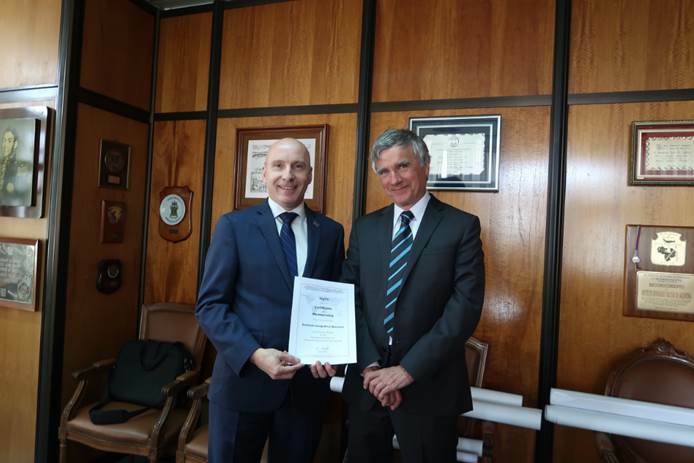 Following a recent postal ballot of Ordinary Members, Council is very pleased to announce that Instituto Geográfico Nacional is the new Argentinean Ordinary Member. ISPRS Commission III on ‘Remote Sensing’ and WG III/5 on ‘Information Extraction from LiDAR Intensity Data’ are pleased to announce the availability of two data sets collected using different sensors and platforms. These trial data sets will be likely followed by others to be delivered in the future to support the academic and research community for experimental testing. Data Set 1 was collected using the dual head sensor system Optech Lynx SG moving along a road in Sun Prairie (Wisconsin, US). A measurement rate (pulse repetition frequency) of 1200 kHz (600 kHz per sensor) and a scanner frequency of 250 Hz each sensor (total of 500 lines per second) has been used. The sample Data Set 1 consists of three strips collected using the two sensors (S1 and S2), stored in 6 LAS files for a total size of 4.5 GB. Data Set 2 was collected using sensor Optech Titan, the world’s first multispectral airborne LiDAR sensor. Data Set 2 covers a natural coastal area located in Tobermory (Ontario, Canada). LiDAR data include three channels with wavelength 1550 nm, 1064 nm and 532 nm, respectively. Data Set 2 consists of 11 strips, stored in 33 LAS files for a total size of 26.4. To receive any of the two data sets, please send an email to Dr. Marco Scaioni (marco.scaioni@polimi.it), Chair of WG III/5 or Dr. Ahmed Shaker (ahmed.shaker@ryerson.ca), Vice-President Commission III or Dr. Mattia Previtali (mattia.previtali@mail.polimi.it) who will be the persons in charge for handling data applications. Potential users will be asked to communicate their research plan and to send back some feedback on their results when available. Acknowledgements go to ISPRS Sustaining Member Teledyne Optech (Dr. Ana Kersting and Dr. Paul La Rocque) for providing Data Sets 1 and 2, respectively. We also encourage other data providers to share new data sets for the ISPRS community. IUGG Statement "The Earth’s climate and responsibilities of scientists and their governments to promote sustainable development"
Following the announcement that the United States seeks to renegotiate, or withdraw from, the Paris Agreement on Climate Change, IUGG has released the Statement "The Earth’s climate and responsibilities of scientists and their governments to promote sustainable development". Background: The project iMARECulture is to raise public awareness of European identity by focusing in maritime cultural heritage, which by default bridges different civilizations. In particular, iMARECulture aims in bringing inherently unreachable underwater cultural heritage within digital reach of the wide public by implementing virtual visits, serious games with immersive technologies and underwater augmented reality. Scope of the project is to design, analyze, develop and validate pioneer applications and systems in the context of Virtual Museums through collaborative and innovative research from a diverse group of scientists, researchers, archaeologists, experts and museums. This special issue addresses user-centered visualization theories, concepts and applications that are related to VR/AR. Contributions should report on unpublished research that advances the theory, design and technological implementation of new, cutting-edge human-centered augmented and virtual geovisualization environments. UN/Austria Symposium on "Access to Space: Holistic Capacity-Building for the 21st Century"
The 8th Summer Student Seminar with the participation of ISPRS Working Groups III/6 and V/2 is to be held at the Siberian State University of Geosystems and Technologies, 10, Plakhotnogo St., Novosibirsk, Russia. Virtual Reality (Dr. Pavel Kikin, and Dr. Aleksey Kolesnikov, Siberian State University of Geosystems and Technologies). SELPER Chapter Chile and the Catholic University of Temuco, with the support of ISPRS, organize and invite to the XI Conference on Education in Remote Sensing and Geotechnologies in the Mercosur area, held from November 13 to 17, 2017 in the city of Temuco-Chile. A meeting to learn from remote sensing and space sciences, forming a common base that allows the development of students, teachers and professionals, through a continuous process of education that considers from the basic level to the postgraduate, in an integrative perspective that contributes to the sustainable development of our countries and the planet. The International Symposium on Remote Sensing of the Environment is the longest running conference on remote sensing, having commenced in 1962, although it has been rebadged over the period. The Symposium is managed by the space agencies around the world, on this occasion it was organised by the South African National Space Agency (SANSA) and held at the CSIR International Convention Centre in Tshwane (formerly Pretoria) South Africa. 2 Report from the Workshop "Bridging space, time, and semantics in GIScience"
The Workshop was one of the most successful AGILE Pre-Conference Workshops with interesting presentations and discussions and a large number of participants. It was co-organized by AGILE and ISPRS WG IV/1: IV/1 Multi-dimensional modelling and IV/2: Ontologies, Semantics, and Knowledge Representation for Geospatial Information. Report on ISPRS International workshop "Photogrammetric techniques for video surveillance, biometrics and biomedicine – PSBB17"
The ISPRS International workshop «Photogrammetric techniques for video surveillance, biometrics and biomedicine - PSBB17» was held in Moscow, Russia from May 15th to May 17th 2017. It was the second in row ISPRS WG II/5 and WG II/10 International workshop in Moscow after PSBB15. The workshop was aimed for providing a platform for sharing the results of research and development efforts in both national and international video surveillance, biometrics, and biomedicine theory, research, experiments, applications, and technology. This time Lomonosov Moscow State University was a co-organizer and provided a venue of the workshop. This workshop has a very long tradition: the first meeting was organized in 1987 by Prof. Konecny under a different name, the current name was adopted in 2005. The workshop is traditionally organized and hosted by the Institute of Photogrammetry und Geoinformation (IPI) of the Leibniz Universität Hannover (Germany). In 2010, during the Centenary in Vienna, the European Association of Remote Sensing Laboratories (EARSeL) signed an MoU with ISPRS. EARSeL is an exceptional organisation founded in 1977 – 40 years ago. It is a society of laboratories of various organisations using remote sensing which organizes annual symposia in various European Cities. The last one took place in Prague at the Faculty of Civil Engineering of the Czech Technical University in Prague on 27 – 30 June 2017. The symposium brought new ideas and results in urban remote sensing, imaging spectroscopy, land use/land cover, thermal remote sensing, SAR, etc. An Abstract Book will be published at ( www.earsel.org, http://earsel.org/publications/) soon. Papers from the Symposium will be publicized in EuJRS after the reviewing. in its resolution 61/110 of 14 December 2006. ISPRS is a member of UN OOSA (UN Office for Outer Space Affairs). UN-SPIDER launched the GP STAR project in 2016. GeoHealth -2017, a symposium on geospatial public health, was organized by the Inter-Commission Working Group on Environment and Health (ICWG III/IVc), in collaboration with the WG on Open Source on Geospatial Technology (WG V/8), and hosted by the Administrative Staff College of India (ASCI), and supported by ICORG. The symposium was preceded by a One day Workshop on Open Source Tools and Techniques in spatial health data analysis on June 30th, 2017. Plenary and technical sessions were conducted on July 1- 2, 2017. These sessions were participated by senior academic researchers and Indian federal government administrators/researchers. However, the active participation from younger field level researchers and also by a good number of clinicians made this symposium truly successful. Participants agreed that while the current geospatial health research is very vibrant, further focus should be on generating useful environmental health information for clinical practice. The symposium was concluded with a consensus that in order to broaden the progress and to directly benefit human health, the geospatial health community must work with the healthcare providers and the outcomes need to be an essential part of the healthcare system. Mario Fondelli (26 October 1924 – 17 February 2017) was an engineer and full professor at the University of Florence. He carried out considerable theoretical and experimental studies in photogrammetry and spatial aerial triangulation and gave courses at the University of Venice, Modena; he was a visiting professor at the Virginia Polytechnic Institute and State University in Blacksburg – Virginia (USA); at the Municipalidad de La Plata (Argentina), he was an honorary guest professor. 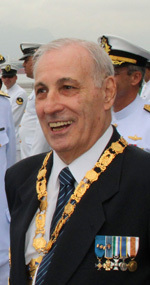 Between 1988 and 1993, Mario was president of CIPA. 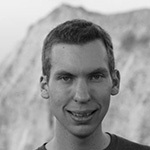 Yuri Tjuflin passed away on 10 May. He was a famous Russian photogrammetrist who made great contributions to Russian space and planet photogrammetry including his work on Venus surface modelling based on “Venera-15” and “Venera-16” satellite imagery. Yuri received the ISPRS Brock Gold Medal in 1996 and was the president of the RSPRS. On 13 May 2017, the Cartographic Community lost one of its most outstanding icons, with the passing of Cartography Specialist Engineer Paulo Cesar Teixeira Trino. With his remarkable personality and immense obstinacy, he dedicated much of his professional life to the cause of Cartography. His leadership has been effective since the beginning of his career, when he simultaneously assumed the presidency of three important institutions of the cartographic activity, the Brazilian Society of Cartography - SBC, the Brazilian National Association of Aerial Survey Companies - ANEA and the Brazilian Association of Cartographers - ABEC. He returned to the presidency of these institutions on several occasions, always with dedication and willingness equal to his first mandates. Until his death, he exercised cumulatively the presidencies of SBC and ANEA. He has also held, for many years, as a representative of ANEA, the position of Board Member at the Brazilian National Cartography Commission - CONCAR. A profound connoisseur of Universal History, where he improved his ability to formulate strategies, always in favour of Cartography, which, in addition to being aware of its historical details, has continually struggled for its development both in the Brazilian community and in the international community. Paulo Cesar leaves our community in mourning, in which he made great and numerous friends and admirers. We have the sad duty to inform the ISPRS community that Wilfried passed away on the 27th May, in a tragic accident during a hiking trip. Wilfried studied geodesy and geoinformatics at Leibniz University Hannover, and received a BSc. degree in 2009. He then joint ETH Zurich, finished a MSc degree and became a PhD student and research assistant under the supervision of Konrad Schindler. From 2012-2016 he was Secretary of ISPRS Technical Commission III "Photogrammetric Computer Vision". He was about to defend his dissertation this summer. We feel deeply shocked about Wilfried's passing at such a young age. Our thoughts are with his family and friends. Haesevoets, Sofie, Kuijpers, Bart, Revesz, Peter Z.
Laura, Jason R., Hare, Trent M., Gaddis, Lisa R., Fergason, Robin L., Skinner, James A., Hagerty, Justin J., Archinal, Brent A.